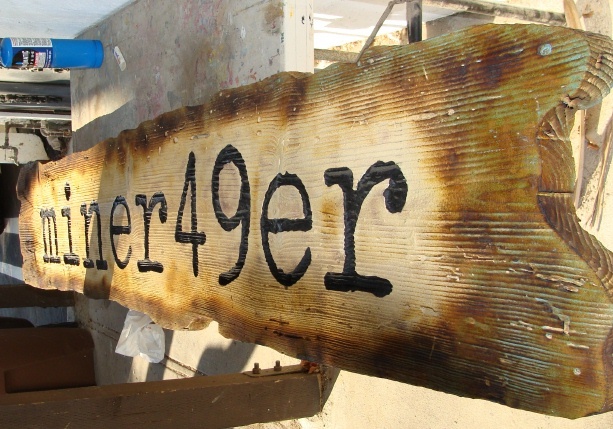 Above is a photo of a carved engraved Cedar sign for the " miner 49er " retail store This sign features engraved text and a sandblasted background to bring out the wood grain. The edges of the this irregular rustic sign are scorched with a torch to give an aged look. The sign is stained and clear-coated twice for additional protection , making it suitable for either indoor or outdoor use. This sign can be mounted on a wall or hung from chains from an overhead beam.